I recently came across a wonderful video that I wanted to share. In 2011, the City of Poynton, UK decided to rethink the way that they were dealing with a noisy, unsafe and heavily congested area of travel. This 15 minute video tells the story of what traffic and the city was like beforehand and how it has changed with the addition of new streetscape redesign. Certainly, it is possible to both improve traffic and make a surrounding area more welcoming for pedestrians and businesses to operate. As we consider many of Cambridge's more complex intersections, I believe it is important to include new and effective strategies like the one employed by the City of Poynton, UK. As chair of the Ordinance Committee, I am deeply involved in the many zoning proposals that come before our city. As you can imagine, given the interest in Cambridge real estate, it is a very busy but equally rewarding position. Currently, there is one zoning petition before the Ordinance Committee that I want to bring to the attention of all Cantabrigians, because ultimately, the developments will, in some way shape or form, impact each one of us. The Volpe Center Rezoning Petition is complex and proposes the highest density and building heights in Cambridge. 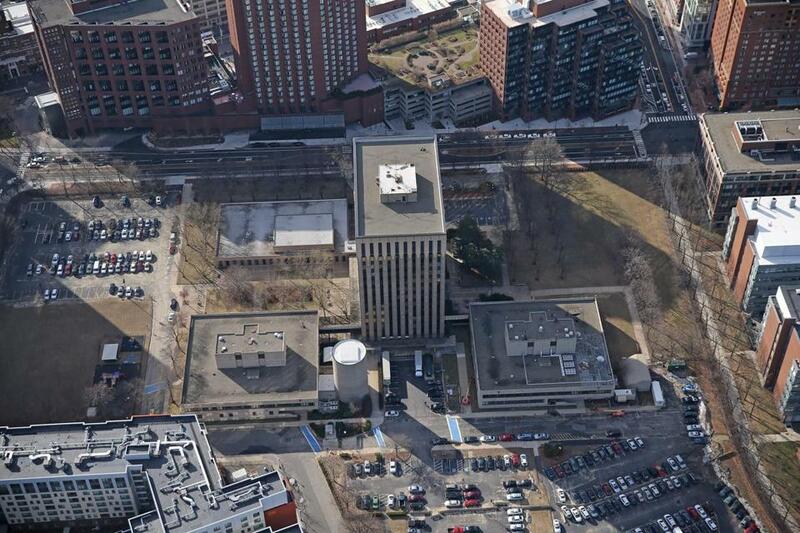 The current Volpe Center lies on 14 acres of federal land in the heart of Kendall Square and is a federally owned building that serves as a headquarters for a U.S. Dept. of Transportation agency. The Volpe Center wants to build a new transportation center, and for several reasons, has decided that they would seek development of a new building on four acres in exchange for remaining parcels of their 14 acres of land. As you can imagine, this approach, while in many respects financially prudent for the federal government, also means that Cambridge must deal with some complex financial and real estate matters. Additionally, representatives of the Government Services Administration (GSA), which is the federal government’s arm in charge of handling this project, has been unavailable for participation in our ordinance hearings and thus has not given members of the City Council an opportunity to better understand their position. Subsequently, there are many unanswered questions, including how much will the new building cost? What is the proposed height versus the amount of open space? What are the transportation repercussions? What we do know is that as a city we need to maximize community benefit with the proposed density increase— whether that is with open space, affordable housing, and/or other concessions. This past week, the Council received two reports that seem to represent a good start in better understanding the overall Volpe Center picture. The first is a transportation impact analysis and the second is a financial feasibility analysis. Both of these reports provide greater insight into the overall financial and community impact of this development. The development of the Volpe site will be nothing short of transformative for Kendall Square and the City of Cambridge, and it is crucially important that we take the time to understand the situation and help shape the development so that we truly achieve a great urban design space. This area should be enjoyed for many generations to come and I want to make sure that we do everything in our power to make it as successful as possible. The city has to take a significantly stronger urban design investment in developing a physical plan to guide the GSA and its potential development teams to meet all city objectives for this area. At this stage of the process, I do not feel comfortable approving this petition. I do look forward to working with the GSA, the East Cambridge Planning Committee and other stakeholders in order to best create an urban place that we all can be proud of and enjoy as a true part of our city. I hope that you have a great weekend and are able to enjoy this unusually warm weather. This past Thursday, the Health & Environment Committee met with city stakeholders and several members of the climate activism organization, Mother’s Out Front, in order to better understand when the city’s municipal operations would be entirely reliant on renewable energy sources. I am very happy to report that the city expects to increase the amount of renewable energy procured for municipal operations with a goal and expectation of reaching 100% renewable use within the next three years. This is another concrete step that the city has taken to not only combat the effects of climate change, but to serve as an example to other municipalities-- that in Cambridge, we are willing to do whatever it takes in order to guarantee a healthy environment for future generations. Last year, my team issued a policy order to explore how our purchase of electricity for municipal buildings could result in using a higher percentage of renewable energy. I am very proud of this accomplishment and all credit is due to the hard work of the city, our partners, and friend's and activists at Mother's Out Front. There was an excellent article recently authored by Michael Mehaffy from Better Cities & Towns which I wanted to share with everyone. One, it is not just density, but the efficient placement of people and their activities, that is important. A dense downtown, far away from a dense bedroom community, may actually be worse, from a carbon point of view, than a less dense mix of the two. Two, research shows that the benefits of density are not linear, but taper off as density increases. In other words, there is an optimum density, above which the negative effects of density start to increase over the positive ones. That "sweet spot" seems to be in the neighborhood of about 50 people per acre. And many cities around the world achieve this density without tall buildings, and while creating a very appealing, livable environment (e.g., Paris and London, as well as the aforementioned parts of New York, Vancouver et al.). We would not argue that tall buildings are never appropriate. However, an evidence-based approach would caution us to put the burden of proof on the proponents, not the opponents, of tall buildings, to prove their overriding benefits in a given situation. Good news for cyclists and pedestrians in Cambridge! Last fall, Councillor Carlone introduced a policy order and chaired a committee meeting to explore the potential for creating a "Safer Truck" program in Cambridge – the order asked the City Manager "to work with all relevant City Staff, safety experts, and bicycle and pedestrian advocates to consider the possibility of deploying truck side guards across all city-owned and city-leased trucks." Cambridge is facing an escalating crisis of housing affordability — despite the fact that the City's supply of housing has been growing (and continues to grow) at a remarkable rate. Over the past 20 years, the City’s middle class has been largely displaced, and many families have had to leave their homes. The City has become wealthier, but also less accessible. Rents are skyrocketing; home values are soaring — but many residents are cost-burdened, and poverty is on the rise. It should come as no surprise, then, that "Affordable Housing/Housing" was identified as "the single most important issue" in the 2014 biennial Citizen Survey, and that throughout the 2014-15 City Council term, matters of planning, development, zoning, and affordability have been the focus of many meetings. Some have suggested that the problem of housing affordability is primarily due to a lack of development (See, e.g. Locally controlled planning affects cities). Officials are "throttling" the supply of new housing, or so the story goes, and "if we don't start increasing our housing stock," then the affordability crisis will only get worse. To consider this notion — that in the City of Cambridge, the problem of housing affordability is mainly a problem of housing production — Councillor Carlone asked me to compile residential construction and permitting figures using the City's Open Data Portal and to compare those numbers to targets for future residential growth. The result of this exercise (available for download and discussed below) is the observation that the City is actually permitting and constructing new housing at a remarkable rate. Download: Summary of Housing Construction and Permitting Data. Already the nation's tenth densest incorporated city, Cambridge is poised to realize close to a 30% increase in the size of its housing stock over the thirty-year period running from 1990 to 2020. The City also seems likely to surpass a key target for new housing production — approximately a decade ahead of schedule. Last month, I shared this fabulous Alain de Botton video here on my blog; I am re-posting it again today for anyone who has yet to see it. de Botton explains the six key elements of successful urban development, and he concludes with a simple truth, in his words: "Beautiful cities have only ever been created when governments impose strict and ambitious regulations...."
On April 9, I joined with Councillor Nadeem Mazen to introduce a policy order to enhance the City's capacity to negotiate with developers for more housing in Central Square — the order asked the city council to call for hearings to consider a zoning amendment to place some limits on existing special permit incentives for office and laboratory development in the Central Square Overlay District. The order was inspired, in part, by an April 1 ordinance committee hearing, where a private developer (Normandy Twining) informed the council that if a disjointed zoning subdistrict wasn't immediately approved for their plan to build a (mostly) luxury/market-rate housing tower, then they would build an office building instead. The issue: should we require at least some housing to be built as part of new developments on large landholdings in Central Square? Or, do we continue with a policy that often forces housing to compete with other, more lucrative uses, such as commercial offices and research laboratories? Two years ago, when City Staff presented draft Central Square zoning recommendations ("the C2 Study") to the Planning Board, I raised this very issue, noting how labs conflict with the residential character of abutting neighborhoods, and suggesting that we actually require new housing in Central Square developments (see page 85 of this transcript). Members of the Planning Board agreed this was an idea worth exploring. But late last year, a comprehensive process for planning Central's future was sidelined, and in its place, the council is now racing forward to grant new zoning for just a fraction of the parcels that are controlled by just one of the landowners in Central Square. Also on April 1, I introduced an alternative concept to target 50% affordable housing on the Normandy/Twining and abutting public sites. This proposal was based on recommendations from the C2 Study — to consolidate parking underground and replace some surface lots with affordable housing and other public amenities — but this civic-minded alternative was "brushed aside," in part because of the developer's threat to build an office building. Cambridge is facing a severe and escalating crisis of housing affordability, and right now, the city council is considering a proposal from Normandy Real Estate Partners and Twining Properties to build a 19-story residential tower at the corner of Mass Ave and Main Street by Lafayette Square, a key gateway to Central Square. The Normandy Twining proposal has improved in recent weeks, as the total percentage of affordable housing has increased to 20%, and the original design concept, which would have created a wall between the Area IV/Port neighborhood and Central Square, has been replaced by a "point tower," allowing more sunlight to reach the neighborhood. But as an architect and urban designer, I know there is more room for improvement. As it stands, 80% of the new housing is proposed to be luxury-rate, out of reach to all but the wealthy. In addition, the proposal features too many parking lots, including parking lots in the residential neighborhood along Bishop Allen Drive. This makes no sense for a building that is close to a major transit hub. To address these concerns, I introduced an alternative urban design concept at last week's ordinance committee hearing, showing how a public/private partnership — based on principles of the C2 Study — could dramatically increase affordable housing, while also consolidating parking underground and creating a new community green. This alternative concept will actually produce more housing overall, and thus more affordable housing, and it will also do a much better job of integrating the "Mass + Main" project into the fabric of the existing neighborhood. It would be nice if we had more time to explore the potential of this concept, but there's a problem: the Normandy Twining development team has suggested that if they don't get their new zoning amendment right away, they might decide to build an office building on their site, leaving us without any new housing at all. Given the nature of today's housing crisis, that's unacceptable. It is the city council that is responsible for land use policy, and we should exercise that responsibility to maximize our bargaining power for more affordable housing. That's why I have joined with Councillor Mazen to introduce the following policy order, which limits incentives for office and laboratory development in Central Square, and also makes it clear that the City should promote new housing, along with vibrant retail and related public amenities, as the immediate priority for the district. Last night, the Ordinance Committee voted, 6-3, to forward the Normandy Twining zoning amendment petition on the full city council with a positive recommendation — but not before hearing from Lawrence Lessig on the issue of money in politics. Speaking during public comment, Lessig, who serves as the director of the Edmond J. Safra Center for Ethics at Harvard University and is also a professor of law at Harvard Law School, drew a connection between the council's recent vote to reject a study of publicly funded elections and the City's "ad-hoc planning process." Click here to read Lessig's testimony. The meeting focused on Normandy's Mass + Main proposal, which would add some 232 units of new housing to Central Square — but 80% of these units would be luxury/market rate — and the project has raised concerns about a planning effort (the "C2 Study") that was unexpectedly sidelined last year.